We are glad to let you know that our next conference will be held in Belfast from Friday 03 – Sunday 05 April 2020. Over the coming months we will be telling you about the wonderful venues we are going to be using during the conference. 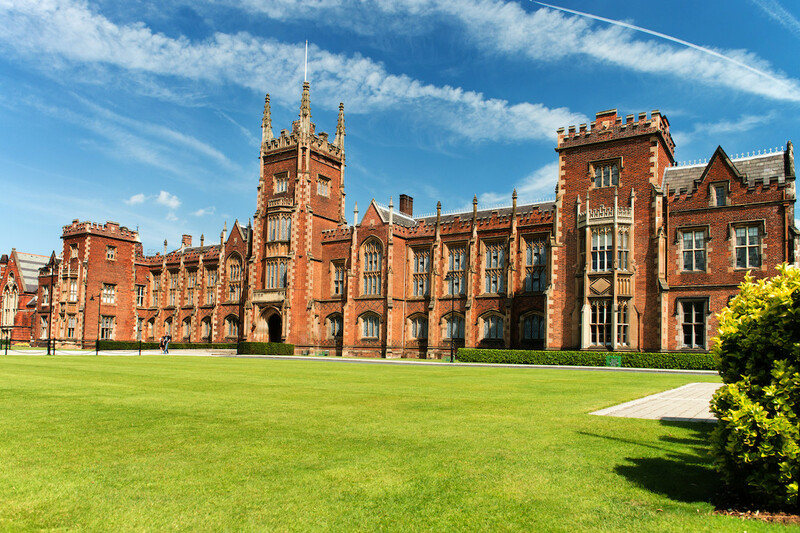 Our home for the main body of the conference is going to be Queen’s University Belfast. During our visit we were struck not only by the impressiveness of the building but also in the versatility and flexibility of the space. With Queens being one of the oldest universities in the UK, the buildings are stunning and although you are still in the middle of Belfast you can see the picturesque rolling hills from the music room window! Most of the rooms we plan to use are located within the state of the art Sir Peter Froggatt building, keeping movement between venues to a minimum. The visit to Belfast also allowed us to meet our Northern Irish colleagues who proposed the venue and will be joining us as part of the organising committee. Here are 3 pieces of information to help you start planning your conference trip! 26 UK airports currently fly to either Belfast City or Belfast International Airport, and from London it’s only a 1 hour flight. My recent trip to Belfast, flying from Southampton – Belfast City cost £68 return – the same as a peak time day return from Southampton to London on the train. Have a look at flights from your area and you’ll be pleasantly surprised. Our taxi driver from the airport was brimming with pride in the city, highlighting every possible location that we should visit during our stay. Perhaps you’ll take the time to explore before or after the conference. For more information on what to do in and around Belfast click here. I’m excited for this conference – I hope it comes across. However - I also want you, as members and music therapists, to be excited for this conference as well. In the coming months we will be starting to reveal more information about the conference, so please keep reading the emails and checking the BAMT website. Welcome to the online registration for the conference! Visit this page for booking Terms and Conditions.